La Tomatina is a festival that is held in the Valencian town of Buñol, in which participants throw tomatoes at each other. The event has become one of the highlights on Spain's summer festivals calendar with thousands of people flocking to this little Valencian town for this chaotic event. 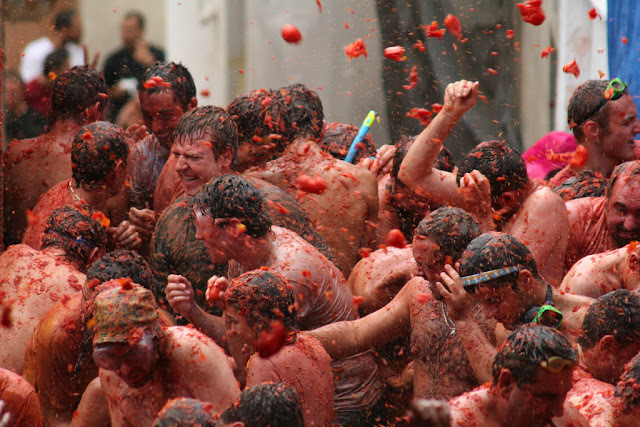 The origins of La Tomatina aren't clear with several theories explaining how Bunyol has become home to the world's biggest tomato fight. 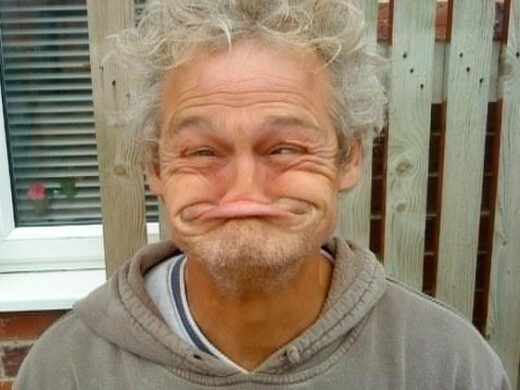 Gurning is usually practiced by the Girner putting his or her head through a horse collar and making a ridiculous face. It is mostly popular in rural England. It's believed that the sour faces were originally a result of eating crab apples, and the faces were so fun they were made into friendly competitions. At one time, such face-pulling contests were a common entertainment at fairs and gatherings around Britain. 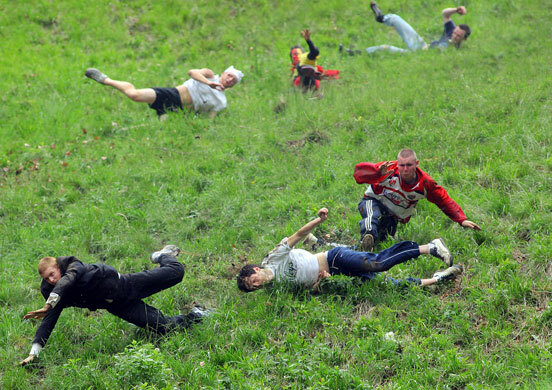 The Cooper's Hill Cheese-Rollingis an annual event heldat Cooper's Hill near Gloucester, England. People from all over the world take part in this event though it is traditionally by and for the people who live in Brockworth, the local village The event takes its name from the hill on which it occurs. Once a year, young men and women hurl themselves down a hill so steep that it is impossible to remain standing, in pursuit of a seven or eight pound wheel of locally made Double Gloucester cheese. 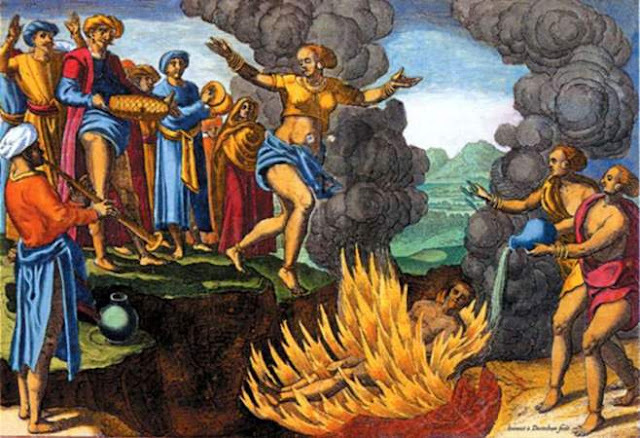 Sati was a religious funeral practice among some Hindu communities in which a recently widowed Hindu woman either voluntarily or by use of force would have immolated herself on her husband’s funeral pyre. According to Hindu mythology, Sati the wife of Dakhsha was so overcome at the demise of her husband that she immolated herself on his funeral pyre and burnt herself to ashes. Since then her name 'Sati' has come to be symptomatic of self-immolation by a widow. Sati was prevalent among certain sects of the society in ancient India, who either took the vow or deemed it a great honor to die on the funeral pyres of their husbands. The practice is rare and has been outlawed in India since 1829. The sharo is a test of endurance; a youth is expected to undergo severe flogging in public without flinching. It is normally staged twice a year. Not all Fulani nomadic groups observe this ceremony or insist on it before a young man may marry. For some it is merrily a sport, indulged in for its own sake. Probably the keenest exponents of the sharo are the Jafun Fulani found in Nigeria. the victim does not flinch but shows utter indifference to pain and even sneers at his attacker. If he is able to achieve this, his family and friends surround him with joy, offering gifts and congratulations. A lip plate is a form of body modification. In Africa, a lower lip plate is usually combined with the excision of the two lower front teeth, sometimes all four. Among the Sara people, a plate is also inserted into the upper lip. 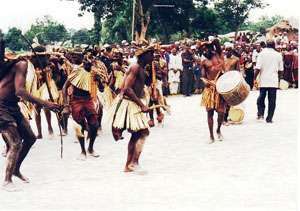 Other tribes, such as the Makonde, wear a plate in the upper lip only. In many older sources it is reported that the plate's size is a sign of social or economical importance. However, because of natural mechanical attributes of human skin, it seems that the plate's size often just depends on the stage of stretching of the lip. In South America, lip plates are nearly always made from light wood. Foot binding was a custom practiced on young girls and women for approximately one thousand years in China, it resulted in lifelong disabilities for most of its victims. Chinese foot binding involved binding the feet of women in order to shrink them - such that they could fit into 3 inch shoes. The Chinese foot binding shoes were called lotus shoes. Having small feet that were shaped like moon crests, was considered to be the highest form of beauty in women in China. Women with bound feet could not walk and had to totter about. This restricted their movements and led them to be around the house. And thus Chinese foot binding became a symbol of chastity and eroticism. In a few African and Asian cultures neck rings are worn usually to create the appearance that the neck has been stretched. Small girls may wear brass collars from the age of two to five years old, as it is more comfortable to lengthen the neck slowly. The alternative is rapidly, and painfully lengthening the neck around the age of twelve, when girls first compete for the attention of boys. 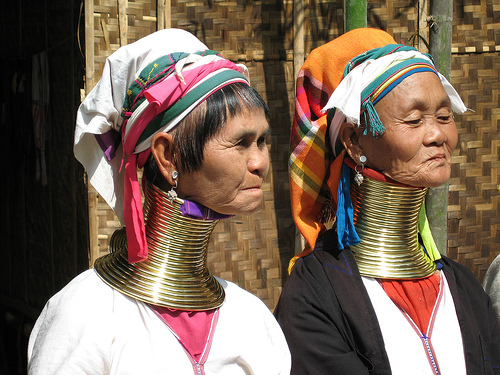 Tourism is often blamed for encouraging the use of neck rings, as they are a popular attraction for tourists. 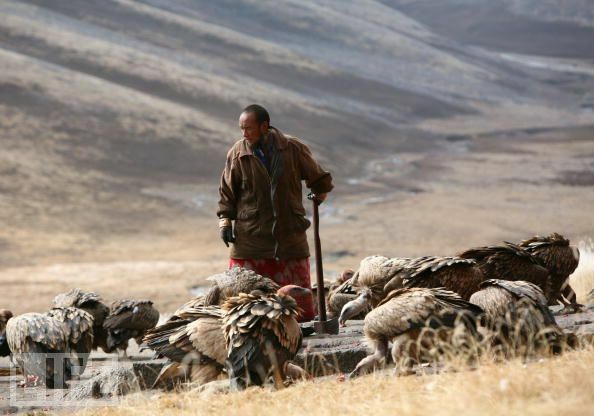 Sky burial was once a common funerarl practice in Tibet. The corpse is offered to the vultures. After death, the deceased will be left untouched for three days. Monks will chant around the corpse. After the chanting, the body breakers prepare the body for consumption by the vultures. The body is unwrapped and the first cut is made on the back. Hatchets and cleavers are used to quickly cut the body up, in a definite and precise way. Flesh is cut into chunks of meat. The internal organs are cut into pieces. Bones are smashed into splinters and then mixed with tsampa, roasted barley flour. During the process of breaking up the body, birds circle overhead, awaiting their feast. The birds land and hop about, grabbing for food. 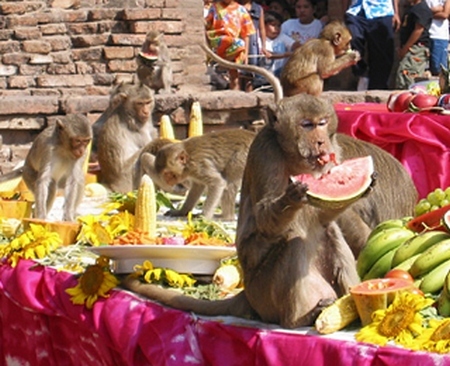 To assure ascent of the soul, the entire body of the deceased should be eaten. After the bone mixture, the organs are served next, and then the flesh.